By Keat Foong, Executive EditorColorado Springs, Colo.–The National Association of Home Builders’ (NAHB) official view is that the country will escape a recession and housing starts will bottom out as early as the middle of this year, but that may not be the consensus among housing economists. Bernard M. Markstein, III, (pictured first from top) director of forecasting and staff vice president, forecasting and analysis at NAHB, and G. Ronald Witten, (pictured second from top) president of Witten Advisors LLC, offered projections that demonstrated the varying outlooks for the housing market. Both economists were speaking at an opening plenary session at the National Association of Home Builders’s (NAHB) Multifamily Pillars of the Industry Conference and Awards Gala, being held in Colorado Springs from April 1-3.Markstein says the federal government’s stimulus plan and its possible future actions will likely be successful in preventing the economy from tipping into a recession. By the fourth quarter, he projects, total housing starts will begin to turn up again.On the other hand, Witten believes the overall housing market will not see a recovery until mid- to late-2009. “Our forecast is more pessimistic than NAHB’s,” he acknowledges. “We do not see a bottom in 2008.” Witten points out that employment growth has turned negative in January and February of this year, and he predicts that there will be little to virtually no job growth this year. As far as the multifamily rental market is concerned, Witten projects that the sector will see rental demand weaken in 2008. Occupancy levels will soften slightly through the latter part of 2008, he says. He notes that there is currently about 1.2 million in excess single and multifamily rental housing, and that it is “remarkably affordable” to buy homes in many markets. Nevertheless, Witten forecasts that rent growth will be in a still-strong three percent, compared to four to five percent range this year. And when demand for rentals goes up in 2009, and certainly by 2010, it will be well ahead of supply. 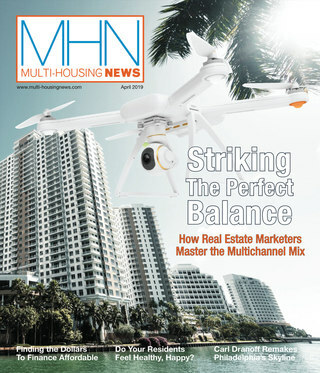 Both Markstein and Witten agree that multifamily fundamentals remain strong. The weaknesses in the housing and multifamily markets, says Markstein, can be attributed not to higher interest rates as in the 1980s, but to tighter lending standards issuing from the turmoil in the financial markets on the one hand, and, on the other hand, declining demand for for-sale housing due to falling prices creating fear among buyers. This, in turn, feeds back to negative lender psychology. As far as condominiums go, there is over 12 months’ oversupply of condominiums, compared to the desirable number of six months, says Markstein. And Witten notes that home prices nationwide have declined more in the past 12 months than since the Great Depression. When this downturn is over, median home prices may have dropped by as much as 27 percent, he reports. 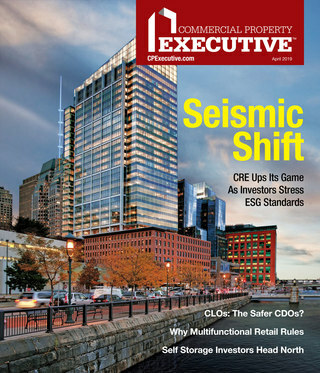 Markstein acknowledges the struggle of multifamily developers, but he notes that they are in a far better position than their counterparts in the single-family sector. And he suggests that until home prices stabilize, the lenders will not be back in the market in a big way.